CLE Credit: CA (1.0 elimination of bias), OR (.5 general, .5 Access to Justice), WA (1.0 ethics), CO and NV (application pending). 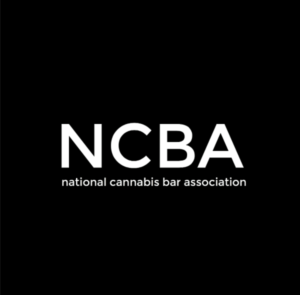 This panel will address the role of racial justice in marijuana decriminalization and legalization campaigns across the country with the aim of mobilizing attorneys and advocates to become involved in and lead drug reform campaigns that center racial and economic justice. Panelists will consider key questions, such as: How does marijuana reform stand to impact black and brown communities? What can advocates and lawyers do in legalization states to center racial justice in implementation? What can advocates do to center racial justice in future campaigns? Sunshine Lencho, Ms. Lencho is co-founder of Supernova Women, an organization for women of color in the cannabis industry that has been affecting change by providing free education and training programs to communities of color throughout the nation regarding national, state, and local policies and business opportunities in the legal cannabis industry. A graduate of Stanford Law School, Ms. Lencho provides regulatory, compliance and intellectual property guidance to California’s cannabis industry. She is a member of the Oakland Cannabis Regulatory Commission, representing the office of the Mayor, and on the board of the California Growers Association. Ms. Lencho has been asked to speak on various topics affecting the industry at business conferences including the International Cannabis Business Conference where she first highlighted for the audience the shortcomings of what is now California’s adult use law. Ms. Lencho is a frequent editorial contributor to coverage of the industry by Black Enterprise, The Establishment, Vice, and Politico. Her forays in to making marijuana law and policy accessible to the masses can be read on multimedia platform The KindLand. Shaleen Title, Compliance Expert (4Front Advisors); Partner (THC Staffing Group); Board Member (Minority Cannabis Business Association); Co-Chair Emeritus (NLG Drug Policy Committee). Shaleen is the co-founder of THC Staffing Group and has a long history in drug reform advocacy. She has won several awards for her advocacy work and her efforts to bring more women and people of color into drug policy reform, including the Hunter S. Thompson Young Attorney Award and the High Times Freedom Fighter Award. She helped create and fund the Students for Sensible Drug Policy Diversity Scholarship, which seeks to widen the perspectives and backgrounds of people joining the drug policy movement. She has served on the board of national organizations including Students for Sensible Drug Policy and the National Lawyers Guild, and she currently serves as board member for Marijuana Majority, Family Law & Cannabis Alliance, and the Minority Cannabis Business Association. As an attorney specializing in marijuana regulations, she has provided regulatory expertise for leading marijuana consulting firms including 4Front Advisors and Vicente Sederberg. In 2012, she helped make history by serving as a senior staffer for Amendment 64, Colorado’s historic initiative that made Colorado the first state in the U.S. to legalize marijuana. Endria Richardson (moderator) is currently Co-Chair of the Drug Policy Committee of the National Lawyers Guild. Endria joined the staff of Legal Services for Prisoners with Children in April of 2014 as a post-graduate law fellow, and as a staff attorney in April of 2015. Before attending law school, Endria developed and taught HIV harm reduction workshops, convinced that criminal and drug policies focusing on abstinence and other restrictions of personal liberty are at their core racist and ineffective, and should be replaced with reality-based strategies developed by directly impacted communities.